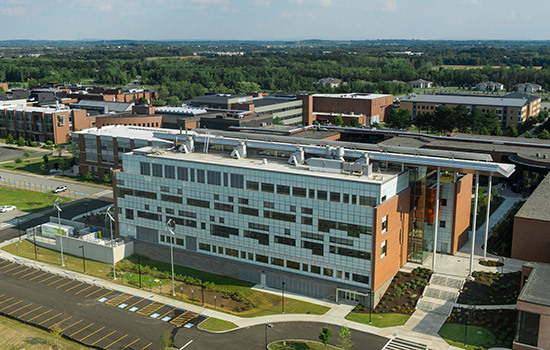 Rochester Institute of Technology will welcome undergraduates from other colleges and universities to learn about graduate study options at RIT during an open house. RIT’s Office of Graduate and Part-time Enrollment Services is hosting the event from 9 a.m. to 2 p.m. Friday, Nov. 3. The open house is geared toward prospective full-time graduate students, but potential part-time students are also welcome to attend. The event will feature opportunities to meet with faculty as well as an opportunity to attend lunch at the Graduate Showcase, at which President David Munson will deliver the keynote address. Additionally, the showcase will include traditional research presentations, group project discussions, engineering and design demonstrations, and visual arts presentations.